If you are a serious entrepreneur, security in your commercial establishment is something you can’t afford to neglect, especially in today’s world. With crime rates being on the rise, your business and everything that it encompasses, including you, your family, your staff, your properties, and of course your clients, can be prone to a lot of security risks. Investing in a durable and dependable security system is not only necessary, but it can also prove to be worth your money. Any untoward incident that can jeopardize the security of your staff, your clients, and your own, is bad for your business, not to mention all the other troubles that can stem from it. Complacency when it comes to safety and security can cost you so much more than money. Indeed, the feeling that you are secure and safe within your premises, especially that you are operating a business in it, gives you peace of mind, so you can focus on other important things to help your company flourish. When looking to install security devices, or deciding to upgrade, repair, or replace the security system you already have in your commercial establishment, do not hesitate to ask for help from trained and qualified electrical technicians in Columbus, Ohio. With their assistance, you can make sure that your security devices are wired correctly so they can function optimally and have a longer service life. 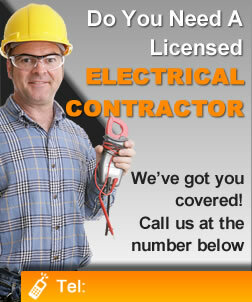 These electrical specialists have years of experience in the said field. They can do excellent work in installing security devices like CCTVs, burglar alarms, intercoms, smart locks, metal detectors, motions sensors, and more. If in case you are undecided on how to go about choosing the right security devices for your commercial place, you may also consult our team to help you select the best ones to suit your needs. Avail of our services now and get your security system up and running in no time.